Alas, life just isn’t fair. Consider the case of Edward Bulwer-Lytton, a successful 19th –century author who was forgotten by history, then rediscovered…but only so that readers could ridicule him for one really bad opening line. It was a dark and stormy night; the rain fell in torrents-except at occasional intervals, when it was checked by a violent gust of wind which swept up the streets (for it is in London that our scene lies), rattling along the housetops, and fiercely agitating the scanty flame of the lamps that struggled against the darkness. Interestingly, when Charles Schulz used it in 1965 in the comic strip Peanuts (it was the opening line of Snoopy’s forever unfinished novel), he probably improved the line greatly simply by stopping after the first seven words, because part of the awfulness of the line is the way it goes on and on (and on). But not all of Bulwer-Lytton’s writing was bad. Some reviewers considered him equal to-or even better than-his contemporary Charles Dickens. In fact, Dickens consulted with Bulwer-Lytton about the manuscript of Great Expectations and took his advice in changing the unbearably sad ending (lovers forever part) to a happy one (lovers meet again and vow to never part). Here are some more facts about the contest’s namesake. Bulwer-Lytton published his first volume of poetry in 1818, at the age of 15, following with three plays and 29 novels ranging in subject from the historical (The Last Days of Pompei) to the horror (The Haunted and the Haunters, or The House and the Brain) to romance, and a very early piece of science fiction about a race of beings living inside Earth (Vril: The Power of the Coming Race). Two of his novels became operas, including Rienzi, the Last of the Roman Tribunes, adapted by Richard Wagner, and Leonora, the first opera composed in the United States. Another book, Ernest Maltraves (1879), was the first Western novel ever translated into Japanese. 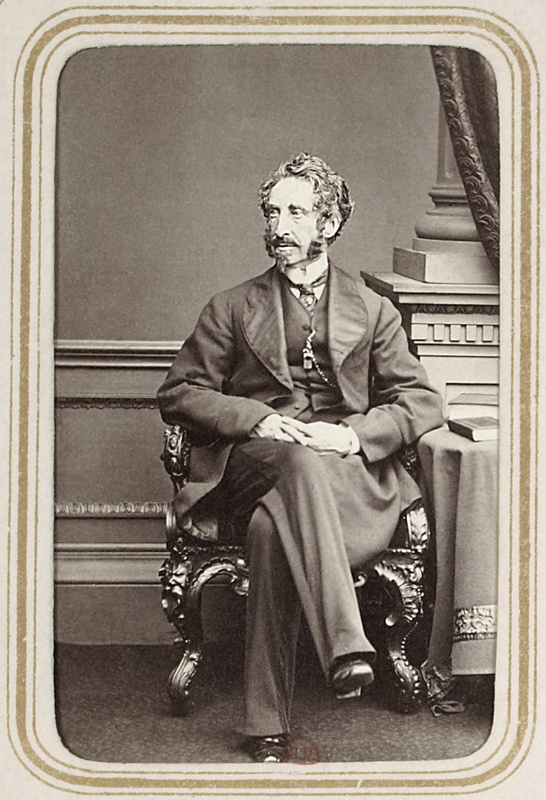 Bulwer-Lytton’s personal life was a soap opera. Despite being high-born, he ended up having to work for a living because he married a woman of whom his mother did not approve, so she cut off his allowance. He split with great acrimony from the woman he married, Rosina Doyle Wheeler, after five years of marriage, two children, and a series of mistresses. Wheeler got even by writing a wicked satire of her husband called Cheveley, or the Man of Honor. In return, he threatened her publisher with a libel lawsuit, had her committed to an insane asylum, took away her allowance, and denied her access to their children. His actions provoked so much bad publicity that he had her released from the asylum after only a few weeks. She promptly set to work on her memoirs, in which she again savaged her husband, this time without hiding behind the veneer of fiction. Bulwer-Lytton’s forebears and descendants have lived in the stately Knebworth House since 1490. Its current occupant, also a descendant of Bulwer-Lytton, keeps the property intact through paid tours, and renting it out for events and films. The building has appeared as Bruce Waynes’ manor in Batman, the Mallory Gallery in The Great Muppet Caper, Balmoral Castle in The King’s Speech, and parts of Hogwarts School in the Harry Potter films. Bulwer-Lytton died a few days before his 70th birthday from an abscess that formed after a doctor operated on his ear. He let it be known beforehand that he wouldn’t be caught dead being interred at Westminster Abbey, but since he was a baron, a former member of Parliament, and a famous author, that’s exactly what happened. Ironically, Bulwer-Lytton wasn’t the first to use the phrase “It was a dark and stormy night…” in a literary work. Twenty-one years earlier, Washington Irving had used the exact same phrase in his book The History of New York: “It was a dark and stormy night when the good Anthony arrived at the creek (sagely denominated Haerlem River) which separates the island of Manna-hata from the mainland. The wind was high, the elements were in an uproar…” The ramblings, parenthetical sentence structure is so similar to what Bulwer-Lytton wrote in 1830 that scholars assume Bulwer-Lytton work was satirizing Irving’s work. 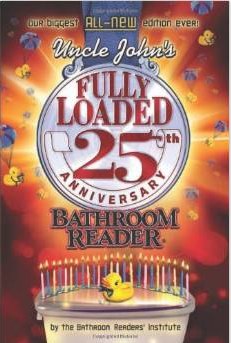 This article is reprinted with permission from Uncle John’s Fully Loaded 25th Anniversary Bathroom Reader. This behemoth of a book is overflowing with the incredible stories, surprising facts, weird news, little-known origins, fun wordplay, and everything else the millions of loyal fans have come to expect from the world’s best-selling bathroom reading series. Did book author mis-spell Pompei(i) or did article author? Ah, not so bad – read any David Baldacci lately? Now that’s some awful stuff. I think I’d only ever heard the Peanuts part of this until I came across this post – thanks for digging out the origin. By modern standards, the intro definitely drags on. But it was probably a very accurate description of stormy weather in London at the time – our street lights here don’t have flames any more but they still struggle when the weather closes in. On the flip side, he’s remembered. Which is rather more than the majority of his rival authors when he was alive. Maybe the book will get a cult following some day, much like films that were considered so bad when they were released that more people watched them. But definitely a case for a bit more editing!